Casio G-Shocks are awesome watches that were engineered for those special secret missions that demand precision and stealth. So check out this New G-shock with vibration alert. The countdown timer function is great, with a large, easily identifiable button for direct access and sure operation in the unsure and tough conditions you could be in. At the end of a countdown, alerts are issued by either a vibration or a tone, plus LED flash operation. The large face of the watch (GD350 Model) is configured to ensure that the timer can be seen in the dark, too. The high-luminance LED can be configured to light up for one, three or five seconds. There's also an Auto Light feature that causes the face to illuminate whenever the watch is tilted towards your face for reading. Awesome, right? The special shock absorber design of the back of the watch helps to ensure that vibrations are felt when it's worn. 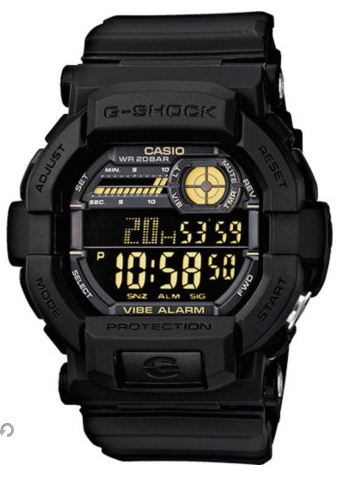 Get your Digital Casio G-Shock with Vibration Alert, today! 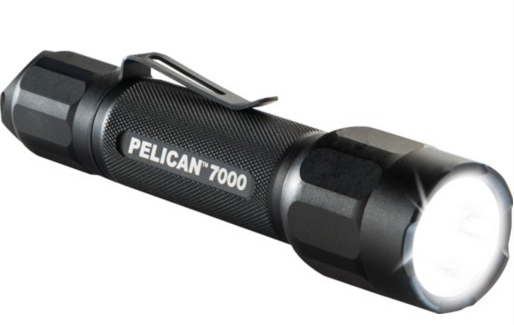 The new Pelican 7000 light is the FIRST Pelican Tactical Light to Break 600 lumens. 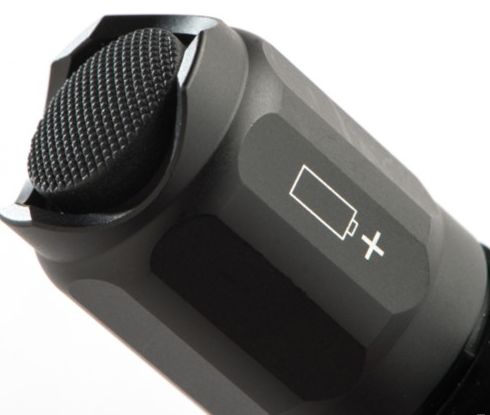 Yep, this light is POCKET SIZE and yet engineered to output 602 lumens of intense, LED light. This light will turn night into day INSTANTLY. You've gotta try it and see it to believe it! There are four light modes on the light: high, medium, low and strobe for close quarter viewing or up to long distance. The strobe effect is great for a tactical offense. There are 4 programmable combinations that you're in complete control over. It takes 2 CR123 Lithium batteries (which are included! ), has battery level indication (which is priceless! ), and even IPX7 waterproof. The body is made of aluminum and the lens of a polycarbonate resin. It's length is 5.31", therefore making it the perfect pocket light. Get your Pelican 7000 today! 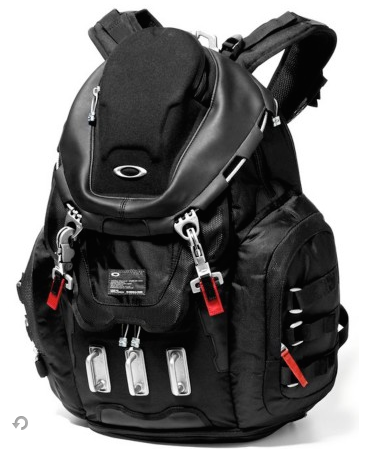 We know it's cutting it close on time--but you still have time to order this Oakley: Kitchen Sink backpack for someone on your list this year. Check out the shipping timeframe below to stay up to date. 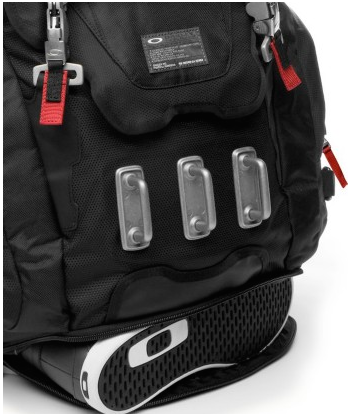 The Kitchen Sink Backpack by Oakley is awesome. It's truly a complete package with heavy-duty appeal. If you're taking a day trip or a long excursion, this is the pack for you. The special pockets both inside and out all have a purpose and help to keep organization a top priority. The fabric is abrasion-resistant, which we love, considering this bag could see some harsh terrain! The material also keeps all your goods safe, including shoes and most 17" laptops can even fit! The back is padded which helps tremendously to keep you comfortable when hauling for a long time. The mesh-lined shoulder straps help to keep you cool and at ease when wearing and hauling for long distances, too! The bag is equipped with a hard media-player compartment which is great for those special devices and it's reinforced with clip and zip closures to ensure it's safety. The style and diverse function of the Kitchen Sink Backpack is what wearers love. Find GidTac at the Gun Show! Gideon Tactical will be at the Holiday Gun Show this week held at the Philadelphia Expo Center! If you want to find some great deals on some weapons, or just browse around with the family (age 10 and under are free!) then come on by! Use this address for your GPS: 1601 EGYPT ROAD PHOENIXVILLE, PA 19460 , and we'll see you at the show! 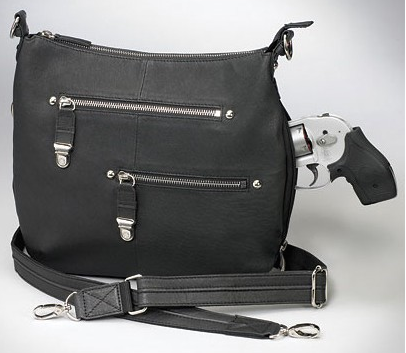 Did you know we've also got some awesome handbags for the Gun-Tote'n woman in your life? Because we do! And we're excited to let you know that we've got two of them for 10% off that you can snag to put under the tree for Christmas. Sleek yet not too trendy with a fast draw feature. 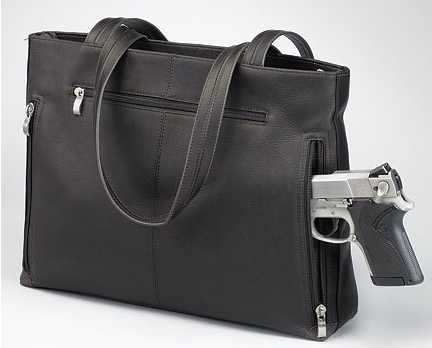 Finally, concealed carry handbags with fashion, utility and uniquely affordable! Designed by women for women. Two pockets to hold cell phones, digital devices or lipstick, etc. Great look for the office or around town! Simple in form, style and shape. Concealed compartments feature nylon coil zippers that can self heal, extra stitching and binding on all seams and lining that will not fall over the concealed gun. Lightweight yet durable for years of regular use. Leather will get softer with age to a stunning subtle gloss. Overall design is perfect for everyday use — and may become your favorite handbag! Buy either of these and use HOTMAMA at checkout for 10% off! Looking for an awesome knife? We got you! 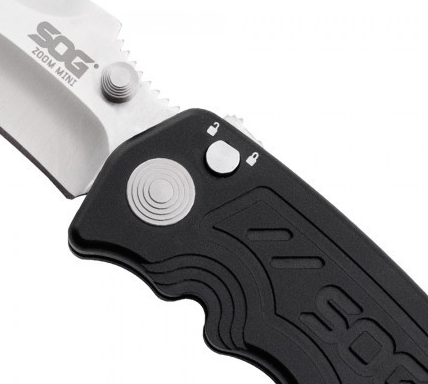 This SOG Aluminum mini folder has the patented assisted opening technology users LOVE. Knives in this series are super quick to open and a pleasure to hold. The great thing about this model is the handle is actually made form aluminum which makes it lightweight and so easy to handle. The "Zoom" line is known for it's line of lightweight folding knives that open for action using SOG's patented Assisted Technology. This guy, The Mini, has a blade length of 3.15 inches, and is a snap to open with one hand! The aluminum handle keeps it light and nimble. What exactly IS this Assisted Technology we keep referring? Basically, this technology works through the balance of opposing high-tension coil springs. As you initiate the opening action, the force then propels your blade open, becoming greater than the force keeping it closed. Basically, it results in a blade that springs open instantly once engaged, seemingly on it's own. Grab yourself a SOG Mini today. 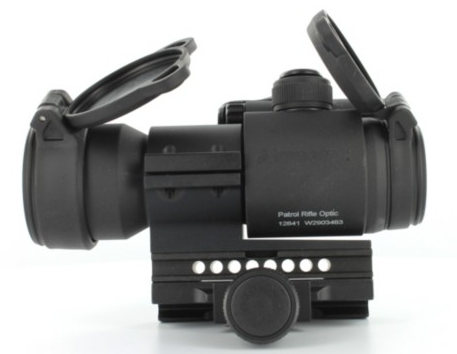 This Aimpoint Patrol Rifle Optic Sight PRO is in stock and ready to sit under your tree this holiday! Any product that claims on one battery it can stay on up to 3 years is a product I'm a fan of! 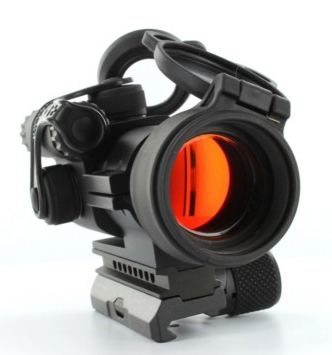 This Aimpoint is compatible with all generations of night vision devices and may even be used with the Aimpoint 3x Magnifier and Concealed Engagement unit. It's made of a hard andonized aluminum alloy housing that's rugged enough for those real-world conditions and waterproof up to 150 feet. It gives you 2 minutes of angle red dot giving you an accurate target engagement at all distances. It even has in service date and battery change date reminders that makes tracking inventory and maintenance easy when our lives get busy. The front lens utilizes a unique band-pass coating, which allows the sight to be used with all generations of night vision devices. Both the front and rear lenses are recessed within the sight body to provide protection against impact damage, scratches, and fingerprints. Flip covers are even included to further protect the lenses! Right now, act fast, they're 10% off--making them a steal of a deal! We've got a new gun to show you, today. 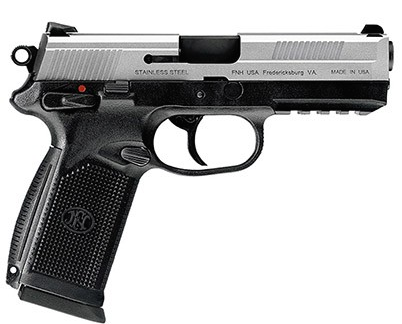 The FNH USA brand, Model FNX-45, in a Matte with Black Slide. This gun is in a checkered black polymer frame that features two interchangeable back strap inserts which quickly allows the FNX45 to adapt perfectly to your hand size, making it feel like it always belonged. This pistol is a double action/single-action hammer drive pistole with highly enhanced ergonomics. 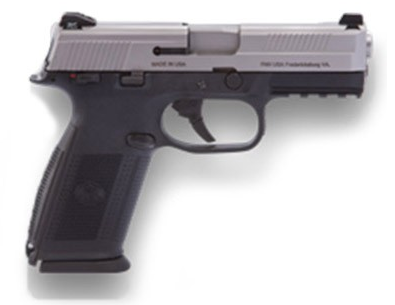 The MIL-STD 1913 accessory mounting rail on the underside of the pistol allows it to accept tactical lights and lasers. And the stainless steel slide features an external extractor with a loaded chamber indicator and front and rear cocking serrations for the best performance. The fully ambidextrous decocking/safety lever and magazine release make the FNX45 easy to operation with any hand and from any preferred firing position. 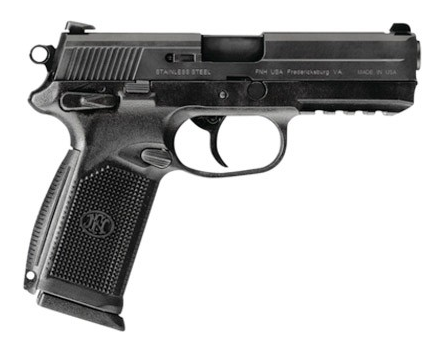 This pistol is not only versatile, but ergonomic. This is an excellent choice in service pistole used for law enforcement, personal defense, military, or shooting competitions. You can see below that the FNX45 is offered in two other color/style options. There's the Matte Silver style with night sights and the Matte Black with night sights. Purchasing Firearms on Gideon Tactical: Please check your local laws for restrictions before ordering firearms. To complete your firearm purchase online, follow the normal checkout process. IMPORTANT: You must include your FFL's name and phone number in the comment section before you click "Place My Order". Handguns must be shipped via 2nd Day Air. You do not need to select 2nd Day Air during checkout, a $20 fee is automatically added. You can choose any shipping option for long guns. You will receive an order confirmation e-mail with your order number. If you do not receive an email order status update within two business days after placing your order, please give us a call at 1-800.852.6088. Contact your FFL to arrange pickup of your firearm. Firearm Restrictions: Please check your local laws for restrictions before ordering firearms. 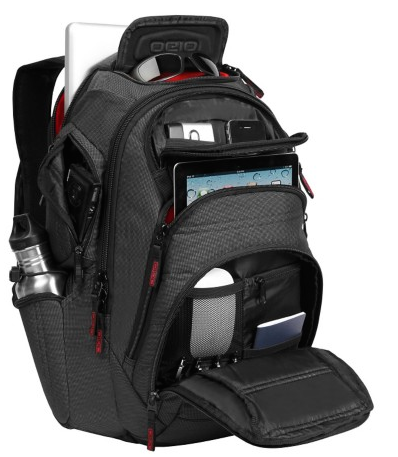 NEW OGIO BackPacks--check 'em out! 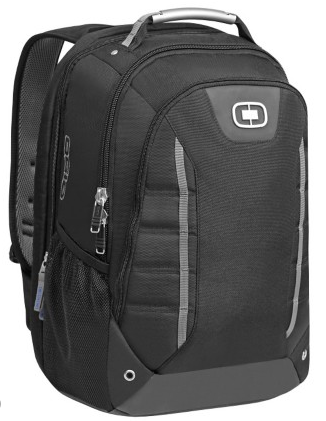 We're now carrying an awesome line of backpacks from OGIO. These bags solve so many of the problems you run into with traditional backpacks and make traveling so easy and convenient, giving every single thing it's perfect place. All you have to do is view this video of the Gambit 17 model to see how life-changing a backpack can truly be with all the right features. 17" Laptop compartment opens completly to ease airport security checkpoints. Made of durable 1680 ballistic twill, 600D poly & a 840D double ripstop face coated. 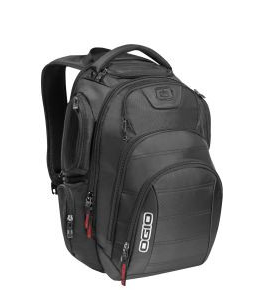 Be sure to check out the entire line of OGIO backpacks on our site! What a great gift this would make.